OK, I admit it. This title is a mouthful. 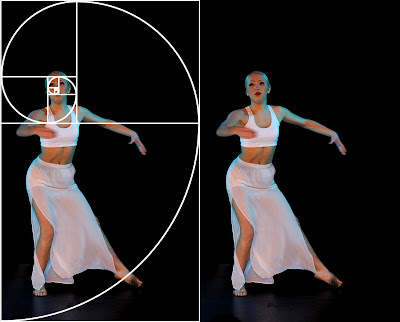 Although a few of you might know what I'm talking about, I suspect there is a significant number of photographers reading this who have no clue what the Fibonacci Spiral or the Golden Ratio is - let alone how to use them in their photography. The thing is (and now I'm simplifying things a bit), this shape is an expression of something called the Golden Ratio. It's a sequence of numbers, basically. The important thing, and the reason why we're talking about this today, is that all great works of art, from the Parthenon to the Renaissance paintings, are composed taking this ratio into consideration. In fact, the Rule of Thirds is itself a simplified version of this. 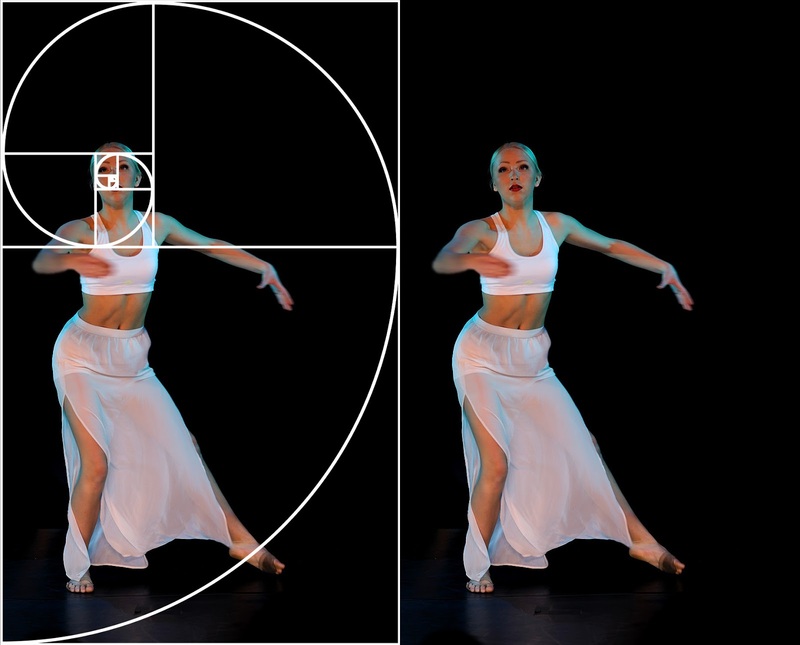 a) what does it mean, practically, to take the Fibonacci Spiral into consideration for photography? b) how do you use it? You might have read somewhere that it's not a good idea to place your subject in the center of the frame. It's generally true (remember, however: any "rule" of composition is only a suggestion; different situations call for different options). And so, I expect that most of you prefer the bottom image. The reason is that the subject is not centered, and hence the composition has a much better "flow" to it. On the top image, the Fibonacci Spiral does not begin from any point of interest. Indeed, its head (the more narrow curve, with the smaller boxes inside) is on the black background. Notice, however, how on the bottom image the spiral head begins from the dancer's own head - indeed from its very center - and then spirals out, almost looking as if it displays the flow of movement of the dancer herself, enveloping her arm and foot. 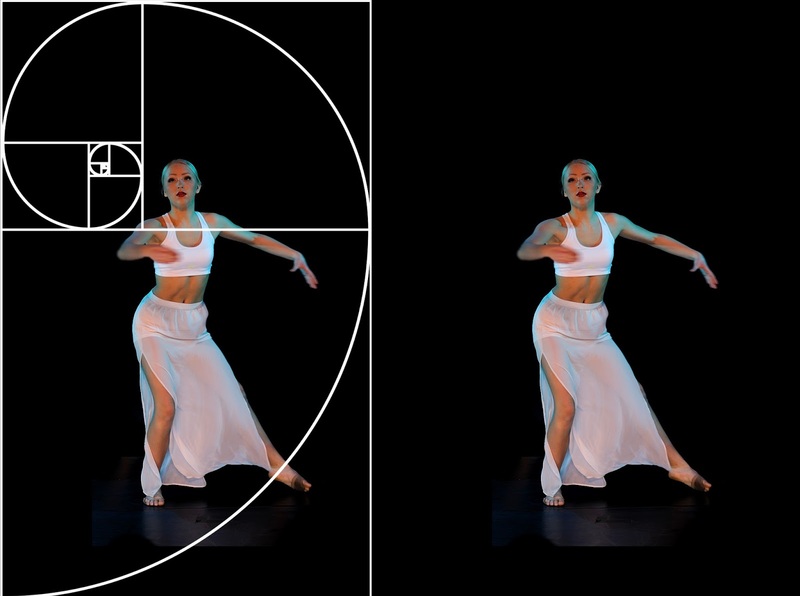 So, how do you use the Fibonacci Spiral in your Photographic Composition? Well, you perhaps now begin to see the potential. Of course, the ideal way to use it is developing the experience to "see" it while taking making photos. For example, let's say you are about to take a portrait photo of someone standing on the shore, with a lovely sunset behind them (and you are using fill flash, right?). Place yourself and the subject so that, when you look through your camera's viewfinder, you can imagine a Fibonacci Spiral beginning from their face and unwinding so that its outer, larger part, envelops the sunset - perhaps it could meet interesting clouds "along the way", ending up in the setting sun itself. The idea is to create a "flow". But even if you can't (at least at first) apply it while shooting, you can at least use it as a cropping guide. 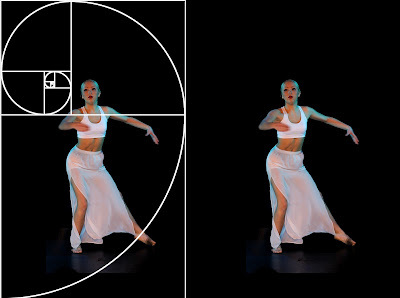 Paste a Fibonacci Spiral as a top layer (depending on your composition you might need to invert it from white to black or vice-versa, or rotate/flip it) and use it as a guide to crop your image in a more attractive way. Again, however, I must repeat the usual warning: "Rules" in photography are there to guide you, not to dictate what you should do. This, like any other such "rule", shows you how to get a harmonious composition - this might or might not be your goal.